Im watching the Strzok testimony. If fisticuffs break out between congressmen i won't be surprised. It is crazy...he's remained calm and collected though. He just handed Gowdy a nice little verbal slapping. Annie B, C_is_for_Cookie, Brookie and 1 others like this. 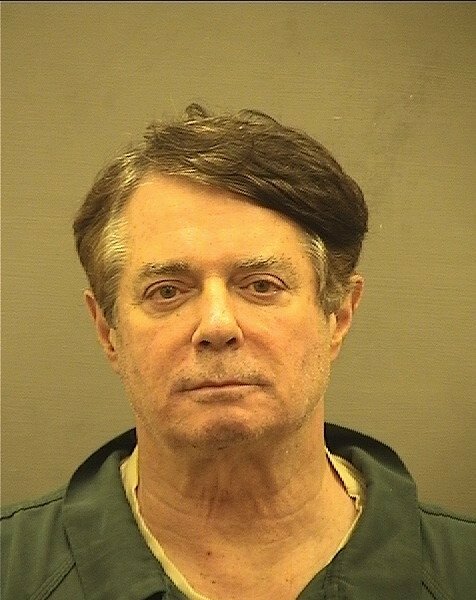 The smug mugshot when you think you're going to get a pardon. Trump probably doesn't have a body double — it's not something previous first ladies have had. And she looks more definitely like herself in other images from NATO meetings in Brussels. OrangeSlice, Brookie and HWBL like this. I'm going to give this one the benefit of the doubt and that he purchased a large block of tickets that crossed the year and people hadn't paid him back yet. But don't know how much Nationals season tickets cost. Sheila Jackson Lee is freaking awesome. Can you imagine what the orange shitstain is going to look like without his bobby pins and hairspray? witchcurlgirl and Brookie like this. Breaking News: Republicans vote to make it legal nationwide to ban gays & lesbians from adopting. When Louie Gohmert said, "How many times did you look so innocent into your wife's eye and lie to her?" Strzok should have replied, "Apparently a lot less times than our current President did." witchcurlgirl, C_is_for_Cookie, Brookie and 1 others like this. Peter Strzok is at this hearing doing what Peter Strzok has been doing for years, dismantling Russian assets. Brookie and Mivvi21 like this.